Should We Have Let Wall Street Go Bust? Unless we were very young or very oblivious, we remember the financial panic that followed the collapse of Lehman Brothers on September 15, 2008. Wall Street ran to Washington and asked to be saved from further collapse, and, within a few weeks, Washington had obliged. Hundreds of billions of dollars in bailout money went to the financial institutions—and the executives—of Wall Street. Today, despite legislation intended to curb some of the speculative excesses of Wall Street, many of the problems that led to the collapse of 2008 appear to have stuck around. And many Americans feel that the bailouts perpetuated more problems than they averted. In advance of the Zócalo event “Can We Fix What’s Wrong With Banking?” we asked several economists, journalists, and other observers of the world of finance to revisit that fateful period. Should we, in late 2008, have let the big banks die? Tough question. It’s like asking whether chemotherapy is worth it even if you’re not sure you’ve got cancer. Neither choice is attractive. Much better to avoid a suspicion of cancer in the first place. Policymakers faced very unpleasant choices in 2008. It would have been better to have avoided the mistakes that let banks get so large in the first place. The coddling of creditors beginning with Continental Illinois in 1984 encouraged lenders to be reckless even as banks became increasingly leveraged. The potential for creditor rescue encouraged banks to become larger and more interconnected. The key question is whether we should have let the first big bank die in March 2008—Bear Stearns. Letting Bear Stears go bankrupt might have had unpleasant consequences. But by making sure that all of Bear’s creditors received 100 cents on the dollar when its obligations were assumed by JP Morgan Chase, the government sent a powerful signal to the market that lenders would be made whole once again, despite having made lousy loans. When Lehman Brothers was allowed to go bankrupt, Reserve Primary, a money market fund, “broke the buck” and helped create the panic, such as it was, when Lehman died. But why did a money market fund lend to Lehman Brothers when it was well-known that Lehman’s balance sheet looked a lot like Bear’s? Surely Reserve Primary reasoned that Lehman’s creditors would be rescued—so why not take the extra return that Lehman offered? Had Bear been allowed to die, the subsequent damage would have been smaller. The coddling of creditors is the single most damaging policy mistake of the past three decades. If we can stop the cycle of creditor rescue, banks will shrink naturally and too-big-to-fail will no longer be relevant. Russ Roberts is a research fellow at Stanford University's Hoover Institution and the host of the award-winning podcast, EconTalk. The real debate isn’t over whether we should have let the big banks fail in 2008 (there is far too much evidence of the devastating economic and social consequences of letting financial crises continue unabated), but rather whether we should have used the crisis as an opportunity to implement fundamental reforms to the financial system. What we did instead was to implement some important but relatively modest changes to financial regulatory oversight in the Dodd-Frank Act. From the standpoint of financial stability, perhaps the most important of these was the extension of banking regulation to so-called “shadow banking” activities, which functionally served the same purposes as banking, but without the regulation for safety and soundness that covers traditional banks. Unfortunately, the regulatory response to the financial crisis did not sufficiently address the problem of “too big to fail.” Financial institutions are still so large and interconnected that an unsupported failure by one of them could singlehandedly cause the type of financial panic we saw in 2008. TBTF presents at least three major challenges for regulators. First, TBTF banks enjoy cheaper funding because of the assumption they will be bailed out. Second, TBTF banks have very large and complicated balance sheets that are difficult for regulators to understand. Third, it is not clear that the federal government can wind down TBTF banks without causing extensive economic damage or incurring large costs to taxpayers. While Dodd-Frank creates some burdens for very large banks (most notably, increased capital requirements), these are not onerous enough to deter banks from wanting to be “too big to fail,” as evidenced by the increasing consolidation of the banking sector. In many ways, TBTF is now a bigger problem that it was pre-crisis, showing the folly of letting these banks continue on with business as usual, rather than forcing more fundamental changes to the banking system when we had the chance in 2008. David Min is Professor of Law at UC Irvine. Political decision-making usually is based on conventional wisdom, and too often the conventional wisdom is based on an elite viewpoint dominated by technocrats. In the case of banks, those technocrats are products of Wall Street. In 2008, while a small class of academics and experts might have held views that differed from that prevailing mindset, those experts weren’t likely to have much influence when Treasury Secretary Hank Paulsen, Federal Reserve Chairman Ben Bernanke and New York Fed President Tim Geithner were all counseling bank bailouts to prevent a Great Depression. Since then, the views of Fed Chairman Bernanke and President Obama’s first Treasury Secretary Geithner (and the Wall Street establishment view they tend to represent) have continued to prevail in Congress. In the Spring of 2010, despite a small chorus of voices (my former boss, then-Senator Ted Kaufman, among the leaders) shouting as best they could that the best way to prevent another financial crisis was for Congress to break up the Too Big To Fail banks, few in Congress were willing to buck the prevailing mindset. And so the Brown-Kaufman amendment—which would have capped non-deposit liabilities of systemically significant banks and non-banks and also imposed a leverage cap—to the Dodd bill was defeated in the Senate, 33-61. Today, the chorus of voices counseling a different way is growing larger, comprising academics (prominent among them Professor Anat Admati of Stanford), policy experts, and even minority Wall Street voices. Can they employ education and proselytizing to help the reform movement reach a critical mass, one that will flip the conventional wisdom on its head? Jeff Connaughton is author of The Payoff: Why Wall Street Always Wins is now available. To protect the economy from future financial meltdowns, politicians and regulators must allow big banks to die. But death is not sufficient. Many factors caused the 2008 meltdown, but two things stick out. One: long before 2008, bondholders and other creditors to large financial institutions expected the government to rescue them in a crisis. Creditors expected bailouts for good reason: they had gotten them before. Bailing out creditors to commercial banks had been government policy since 1984, when the Reagan administration rescued Continental Illinois. Bailing out creditors to investment banks had been government policy since 1998, when the Clinton administration engineered the rescue of the Long-Term Capital Management hedge fund so as to save the hedge fund’s own creditors—the nation’s large investment banks—from losses. This expectation spurred global investors to lend far too much money to the financial system in the years leading up to 2008, causing the credit boom and bust. Two: over 30 years, the government stood back and watched as financial wizards made long-term debt behave more like short-term equity. That is, just as stock prices go up and down each day and can experience wild swings, the value of securities made up of bonds and loans could go up and down each day and experience wild swings. In 2008 (really, starting in 2007, although nobody noticed for a year), the global credit markets experienced the equivalent of a stock-market crash. But the economy can withstand a stock-market crash. It cannot survive a credit crash, because the economy needs credit to flow through the economy each and every day for businesses to be able to buy supplies and pay employees. These two distinctions are important. On the first point, the government accomplishes nothing if it allows large banks to “fail” by wiping out only shareholders and management. While regular people might like to see a humiliated investment-bank chieftain, global markets are unfazed by such a spectacle. Unless the government allows bondholders to large financial institutions, too, to take big losses in bankruptcy, bondholders will continue to lend too much, too cheaply, to large financial firms. Unfortunately, President Obama’s 2010 Dodd-Frank financial-regulation law still allows the government to protect bondholders in a crisis. On the second point, the government accomplishes nothing if it focuses all its attention on large banks and not on the tens of thousands of hedge funds, pension funds, and other smaller investors who make up the global credit markets. If these global investors are buying up credit securities all at once, too much credit is flowing to the economy. If they are selling credit securities all at once, not enough—or no—credit is flowing to the economy. The best way to moderate these ups and downs is to require all investors to hold large cash cushions behind their credit holdings. (It is not enough for such holdings to be rated triple-A, and thus “safe.” We’ve been down that road before.) The government hasn’t adequately tackled this issue, in part because everyone is focused on the big banks. Nicole Gelinas (@nicolegelinas on Twitter) is a contributing editor to the Manhattan Institute’s City Journal and author of After The Fall: Saving Capitalism from Wall Street—and Washington (2009). In 2008, the big banks were clearly too big to fail, and letting them go bankrupt could have caused economic chaos. But the rescue plan drawn up by the U.S. government was overly generous to the banks, their managers, and their shareholders, and caused many of the economic and financial problems we face today. The rescue strategy was to promise unlimited financial support to the largest banks, in the form of capital contributions, asset guarantees, and cheap funding. This meant that the executives who blew up their own banks kept their jobs, banks were allowed to foreclose on homeowners instead of modifying underwater mortgages, and shareholders profited when the banks returned to profitability. Instead, the federal government should have taken over the big banks for what they were worth at the time—essentially nothing—as it did with AIG. The government could have fired incompetent managers and used the banks as an instrument of a proactive housing policy, and taxpayers would have reaped the gains when the banks recovered. Government ownership would have enabled banks to write down their losses quickly, shed toxic assets, and resume their function of supporting the economy. 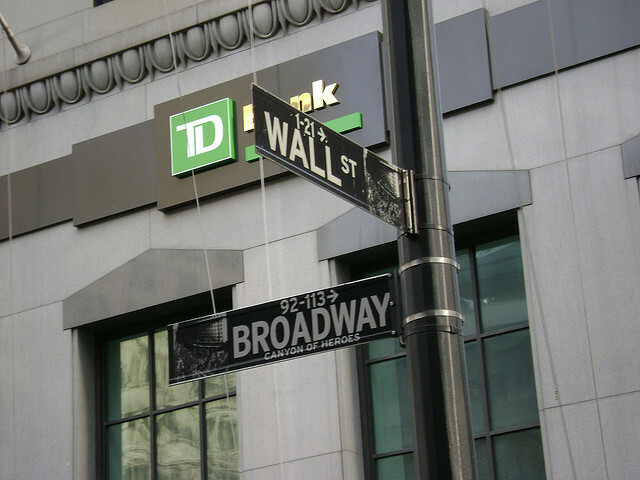 A government takeover, coupled with some of the structural reform measures that the Obama administration kept out of the Dodd-Frank Act, would also have reduced the threat that big banks pose to the economy and curbed their executives’ appetite for risk. Today, by contrast, the banking sector is more concentrated than ever, and a handful of megabanks enjoy even greater market power and funding advantages. This is unlikely to end well. James Kwak is an associate professor at the University of Connecticut School of Law and co-author of 13 Bankers: The Wall Street Takeover and the Next Financial Meltdown and White House Burning: The Founding Fathers, Our National Debt, and Why It Matters To You. No, we should not have bailed them out. That’s the easy question. Now that we have bailed them out, however, here’s the hard question: Will we fix what’s wrong with banking before there is a global currency crisis? On that score I have my doubts. The simple fact of the matter is we have a massive mountain of debt everywhere you look: Federal debt, State and local debt, student loans, housing, unfunded liabilities in Medicare and Social Security, and untenable pension promises at every level of government. Most agree that is a problem. Unfortunately, that’s where the agreement stops. Everything else is a sideshow, but few realize it. The symptom of the debt-bubble is a lack of jobs, slack demand, and stagnant growth. Most policymakers are hell-bent on attacking these symptoms, not the problem. Many point to the end of Glass-Steagall, rating agencies, “too big to fail,” bank bailouts, and excess spending by governments. There are screams for more regulation in nearly every corner. The unions want more handouts. The socialists want to redistribute wealth. Those on fixed income want bigger Social Security checks. The Keynesians and Monetarists want to attack the symptoms with more government spending and more central bank printing. The average eighth grader can see how foolish most of those ideas are, but the average economist can’t, and the average government bureaucrat does not want to be told he has to stop spending. The notion that a nation can spend its way to prosperity has been disproved time and time again. The U.S. housing bubble was a direct result of the Fed bailing out banks in the wake of the dot-com bust. Japan, once the world’s largest creditor, now has a debt-to-GDP ratio approaching 250 percent, the highest in the industrialized world. It took three decades of foolish spending for Japan to achieve that debt-to-GDP level, and Japan believes it failed because it did not try hard enough. The solution to the symptoms of massive income disparity, a death of jobs, and lack of growth is not wage caps on executive pay or hikes in the minimum wage or a return of Glass-Steagall. The real solution is elimination of the Fed, elimination of fractional reserve lending, and a return to sound money policies that do not benefit the already wealthy at the expense of everyone else. Can we fix the problem? Of course we can. I just outlined how. Is that going to happen before there is a global currency crisis? I’m betting against it.